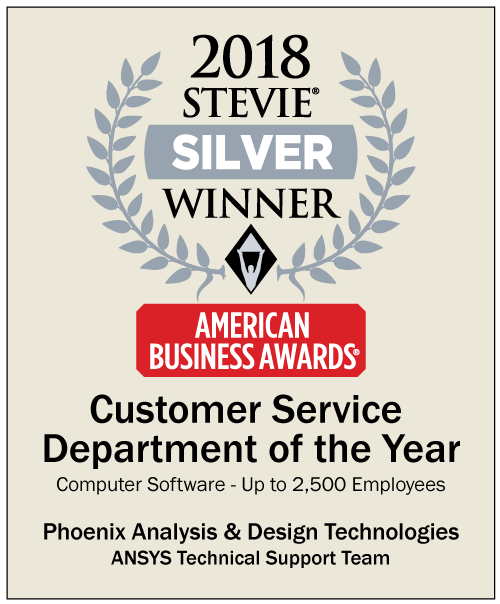 TEMPE, Ariz. - May 3, 2018 - PRLog -- Phoenix Analysis and Design Technologies (PADT) today announced its ANSYS Technical Support team received a Silver award in the Customer Service Department of the Year category in this year's American Business Awards. Because PADT is an ANSYS Elite Channel Partner and a globally recognized provider of numerical simulation, product development, and 3D printing services; top-notch support is essential for bridging the gap between customers and the technology that PADT represents. 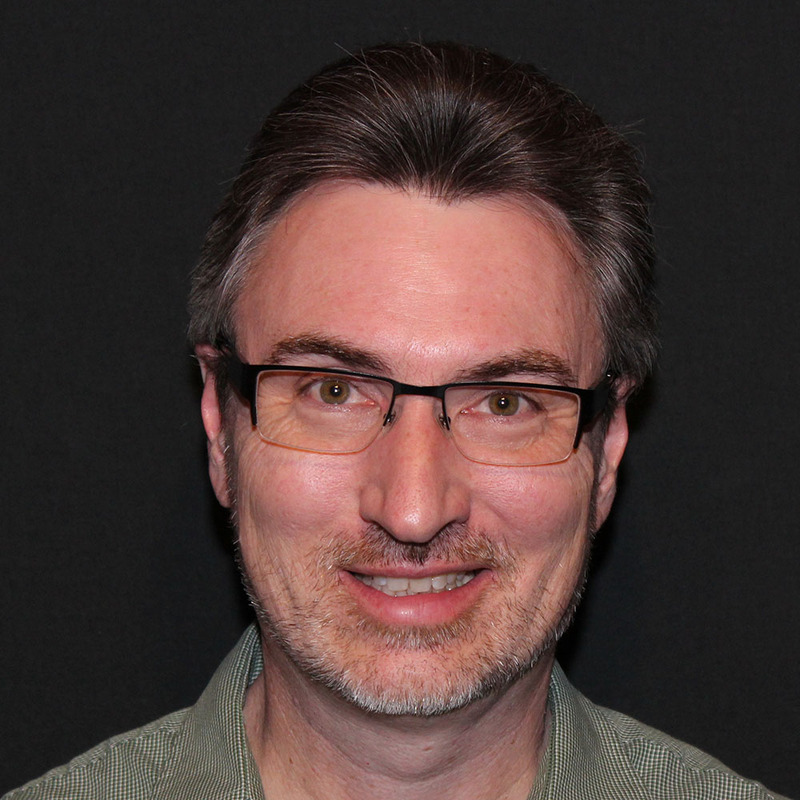 "Our simulation support team is constantly learning new tools and technologies, distributing resources to fit customer needs, answering questions and taking all steps necessary to ensure fluid customer experiences," said Ted Harris, manager, Simulation Support, PADT. "I'm incredibly proud of my team and their dedication to helping our customers do amazing things with their ANSYS software tools." One of the keys to PADT's success with simulation support is speedy engagement with clients. The team never leaves client questions unanswered and provides prompt, high-quality feedback on any issues that arise. PADT's simulation support team makes it a top priority to keep customers informed of progress, give them quick fixes that allow them to keep working, and then take the time to provide a long-term solution. All members of the PADT simulation support team have also earned one or more ANSYS product support certifications, which helps them better educate customers about ANSYS products. Because PADT sells premium products, the team understands that premium service must follow. The team's application engineers also attend PADT's sales calls to help communicate the advantages of ANSYS technology and how customers can better use it to drive product development. 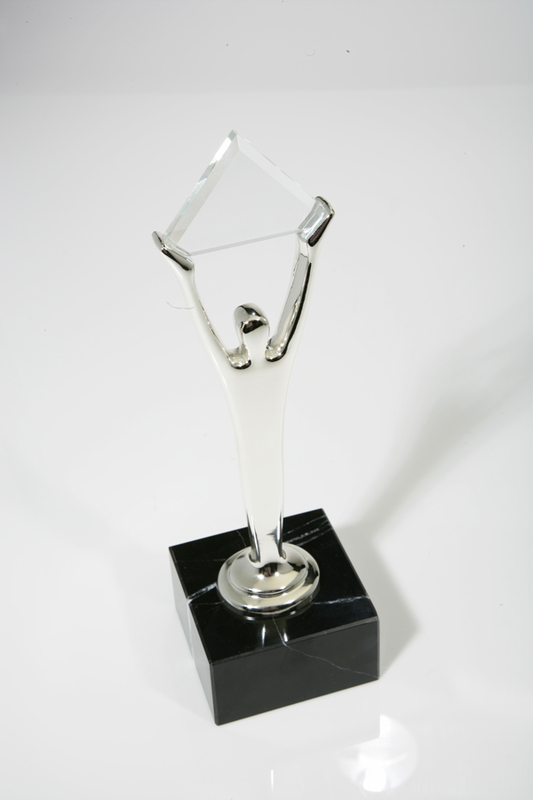 The American Business Awards are the premier business awards program both nationally and internationally. The program was founded in 2002 to honor and recognize the exceptional achievements and positive contributions of both organizations and working professionals. Phoenix Analysis and Design Technologies, Inc. (PADT) is an engineering product and services company that focuses on helping customers who develop physical products by providing Numerical Simulation, Product Development, and 3D Printing solutions. PADT's worldwide reputation for technical excellence and experienced staff is based on its proven record of building long-term win-win partnerships with vendors and customers. Since its establishment in 1994, companies have relied on PADT because "We Make Innovation Work." With over 80 employees, PADT services customers from its headquarters at the Arizona State University Research Park in Tempe, Arizona, and from offices in Torrance, California, Littleton, Colorado, Albuquerque, New Mexico, Austin, Texas, and Murray, Utah, as well as through staff members located around the country. More information on PADT can be found at www.PADTINC.com.